Sorrento holidays take you to Italy’s spectacular Neapolitan Riviera, which is known for its pretty towns and historic architecture. 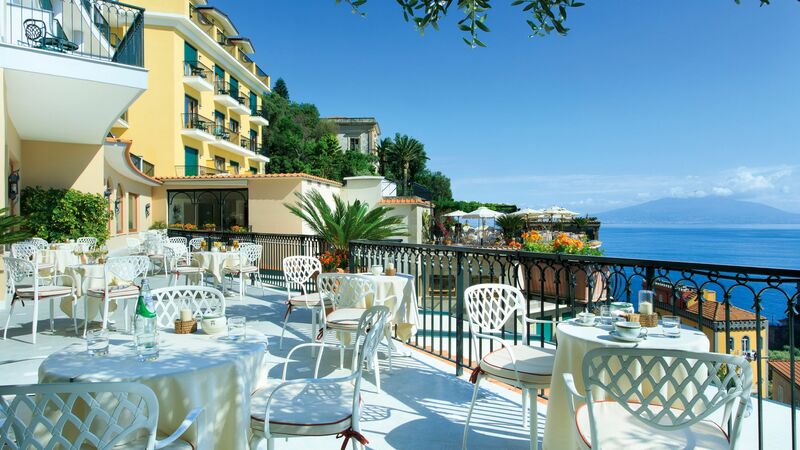 Sorrento is a lively seaside town with excellent cuisine and a thriving culture just waiting to be discovered. Here you’ll find a mixture of authentic Italy and chic modern hotels and bars, perfect for couples and families alike. Spend your days wandering through the narrow cobbled streets of the town, stopping off at traditional pizzerias and street side cafés. Enjoy excellent Italian coffees or fine local wines as you watch the world go by, or shop in the many boutiques which are peppered throughout the town. If you want to discover the rest of the Amalfi coastline, there are plenty of pretty towns within easy reach. Hire a car and visit idyllic Amalfi town where you can take in historic buildings and the glittering seas below the cliffs, or visit Ischia for thermal spas which date back to the ancient Romans. 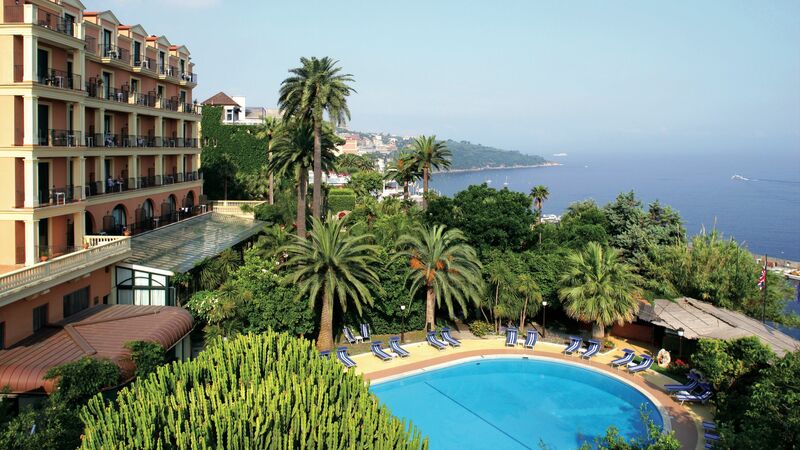 Luxury holidays in Sorrento take you to a lively town with something on offer for everyone. Italians tend to make a big deal of children, so little ones are bound to find something they love in family friend pizzerias, while couples will enjoy the romance of the winding streets and chic bars in the town. Designer boutiques and upmarket hotels come as part of the bargain, with some excellent fine dining restaurants for those wanting to enjoy a gourmet dinner. For the ultimate in relaxation simply spend your days by the crystal clear waters on one of the bathing platforms or explore with a snorkel. 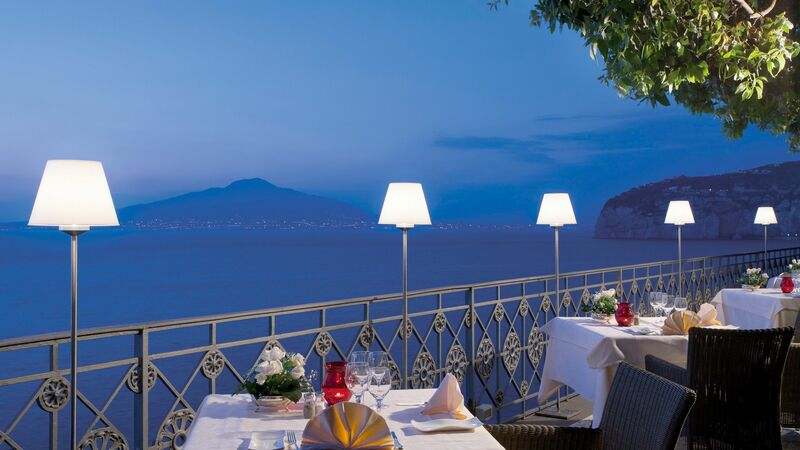 Choose Sovereign for your luxury holidays in Sorrento and we’ll help you make the most of your time away. 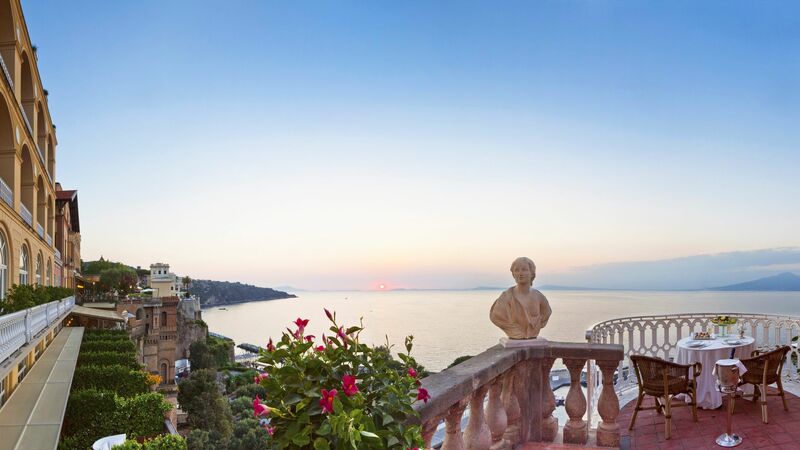 Stay at the Grand Hotel Ambasciatori and you can enjoy historic architecture framed by luscious gardens, stylish modern interiors and beautiful views of the Mediterranean. 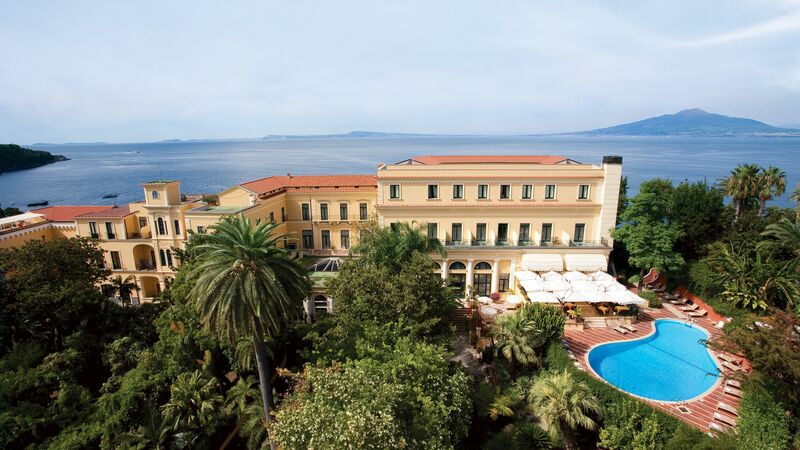 For elegant Italian architecture and Renaissance style interiors stay at the Imperial Hotel Tramontano where you can fully relax by the swimming pool or on the bathing platform. A few stops further along the train line from Pompeii is Herculaneum (Ercolano in Italian), a holiday resort that was also buried after Vesuvius' big eruption. The site is smaller than Pompeii, but better preserved as it was buried under volcanic mud instead of ash - look out for the wall frescoes and mosaics. You’ve ambled through the maze of cobbled streets and picked up a lemon-based souvenir or two – now it’s time to do as the Italians do and relax in a piazza with a caffe in hand. Sorrento’s beating heart, Piazza Tasso, is lined with lively bars and restaurants, all setting out al fresco tables and chairs. It’s the perfect hotspot for people-watching and enjoying the laid-back, Italian way of life. Pompeii is a short train ride from Sorrento, in the shadow of Mount Vesuvius. Buried in ash back in 79AD, it now offers up an amazing look at life in ancient Roman times. The area has been painstakingly excavated, and you can now walk along the cobbled streets, past houses, temples and theatres. Flights from the UK to Naples (Sorrento's closest airport) take around 2 hours 45 minutes. Transfer time from Naples airport to Sorrento is approximately 1 hour 30 minutes. It will be no surprise that Sorrento’s summer months attract the crowds. It’s not hard to see why, with temperatures reaching 30 degrees – ideal for enjoying its lovely marina and lively al-fresco dining scene. Availability in the town can be limited in the summer months, so we advise booking early. Spring and autumn are equally as lovely, as the temperature cools down and the crowds thin out.